It’s not easy living next to such a popular neighbor. Try as you might to get noticed, it seems as though all the attention always falls next door. Add in the fact that your neighbor happens to have the loudest media megaphone on Earth, and you get what it means to be Canadian — similar to its smaller but more populous neighbor yet different enough to have its own robust history and culture, which doesn’t often get recognized. This perpetual same-but-different existence is perhaps best exemplified by Thanksgiving, which folks in Canada will celebrate this coming Monday, October 8. Yes, that’s right — they’ll be feasting a full 45 days before their southern neighbors. Monday? October? Is that all that’s different? Here’s the scoop. We’ve all seen movies about the friendly local tribe who, feeling sorry for the recently arrived squatters to the “New” World, taught them the ins and outs of hunting and farming around Plymouth. You probably also know about the party the pilgrims threw back in 1621 to celebrate the fact that they might not die of starvation when the snow began to fall. But a better-kept secret is that of a shindig thrown about 50 years earlier and more than a thousand miles north. 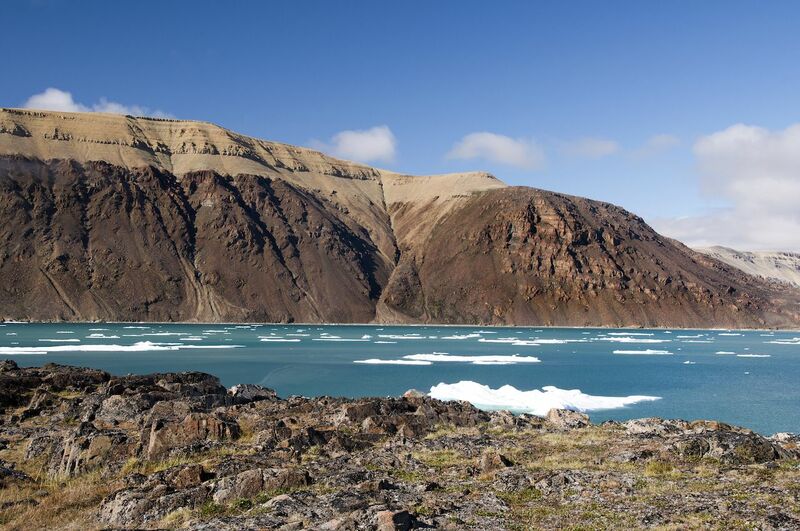 While searching for the Northwest Passage, an English explorer named Martin Frobisher landed on Canada’s Baffin Island after a freezing, dangerous Atlantic crossing that saw him lose one of his ships. Once on solid (if a bit icy) ground, he was quick to celebrate the fact that he hadn’t suffered the same fate as his crew on the ship that was a forerunner of the Titanic. Over the years, immigrants from Europe continued to celebrate the day with new traditions, turning it into a harvest festival. Why is it in October? Canada isn’t known as the Great White North for nothing. The country may be huge, but about 90 percent of the population lives within reach of the border, and even still, those places get cold before summer has finished in many US states. With the earlier onset of winter, the time to reap the harvest naturally falls much earlier in the year. 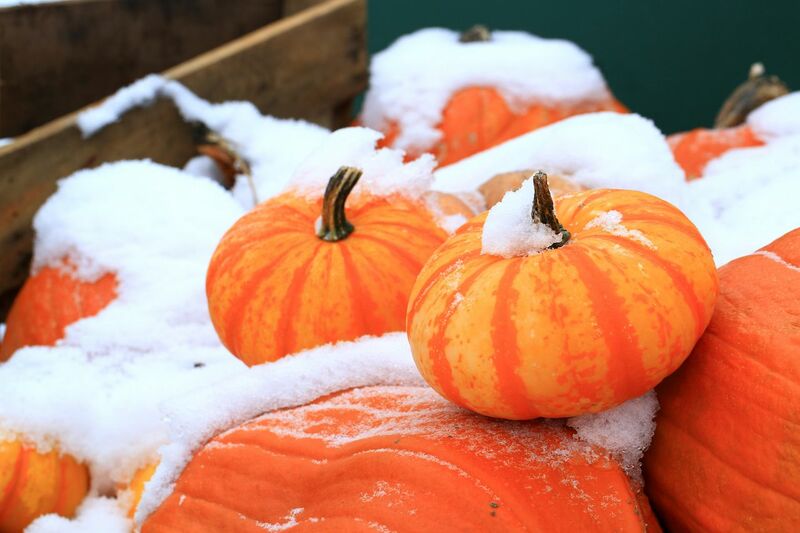 By November, all those yams and pumpkins would be frozen solid. In Canada, Thanksgiving has to happen well before Halloween since Canadian kids never know if they’ll need to hide their cool new Spiderman costumes under winter coats and trick-or-treat through two feet of snow. The celebration doesn’t last as long. Canada’s public health system, mandatory paid vacations, and generous maternity leave combined with stricter gun control may read like a socialist paradise — but, as opposed to the four-day holiday enjoyed by many in the US, Canada’s autumn break only runs from Saturday to Monday. This means Canadians don’t get three days to recover from a food coma and have to return straight to work the following day. This also means that all the fake holidays that have sprung up in the United States — Black Friday, Small Business Saturday, Cyber Monday — do not exist around Canadian Thanksgiving. Instead, many people go on hikes since the weather is still reasonably comfortable in October. 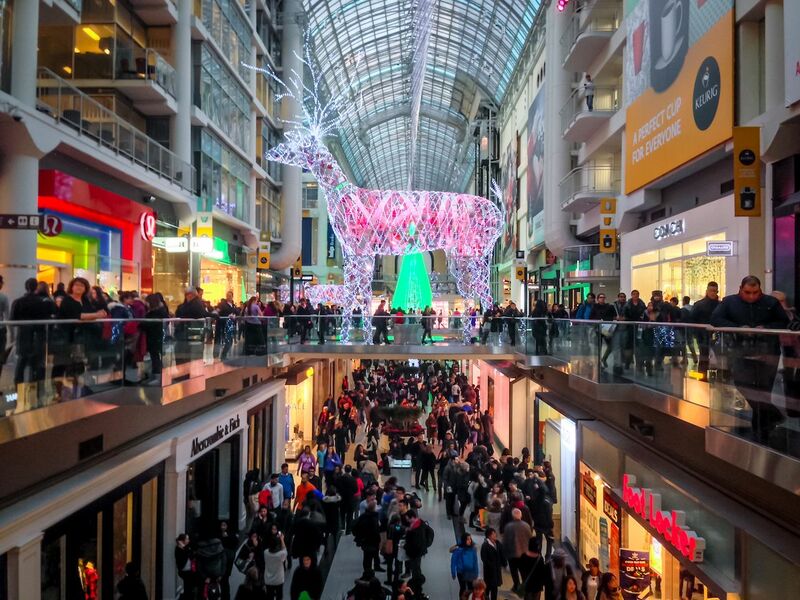 However, the Black Friday pandemic surrounding American Thanksgiving does infect our neighbors to the north, with deals running throughout Canada the same days they do in the US come November (though Canadians don’t have the day off). Some subversive Canadians have attempted to combat this consumer binge by creating Buy Nothing Day. Judging from the checkout lines from Vancouver to Halifax on Black Friday, it hasn’t worked. Skittish turkeys are on both sides of the border. 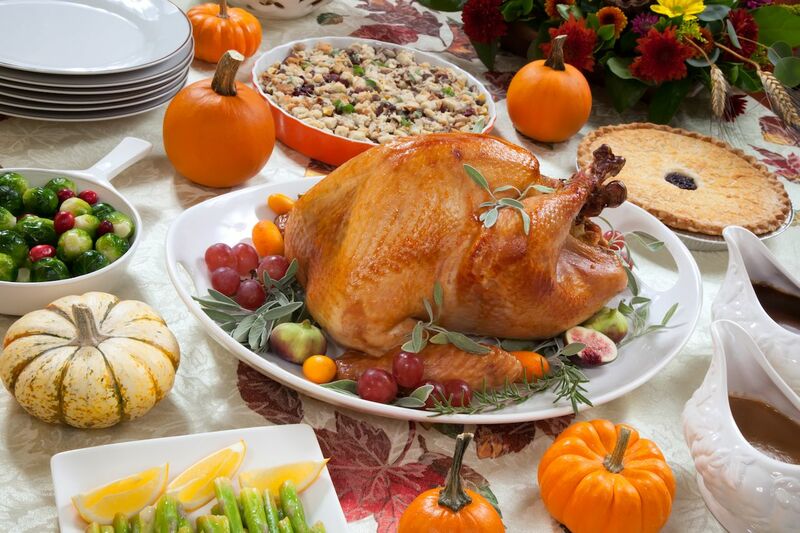 Shared ancestry, geography, and farming methods mean that even though they’re featured in different months, the fixings on the table on both Thanksgivings are remarkably similar. Turkey Day holds true for both countries, but unlike in the United States, no turkey is spared by a Prime Ministerial pardon. What you eat with the bird may depend on your family heritage, but an unscientific poll of various friends on both sides of the border could find no differences in basic recipes at all — with the exception of deep-fried turkeys in the US South. Other than that, the key to both holidays is just the same: time together with family and friends. Football is still a thing — with a few twists. Pork might not be on every table, but it definitely plays a role as both nations digest while a pigskin gets thrown around on TV. 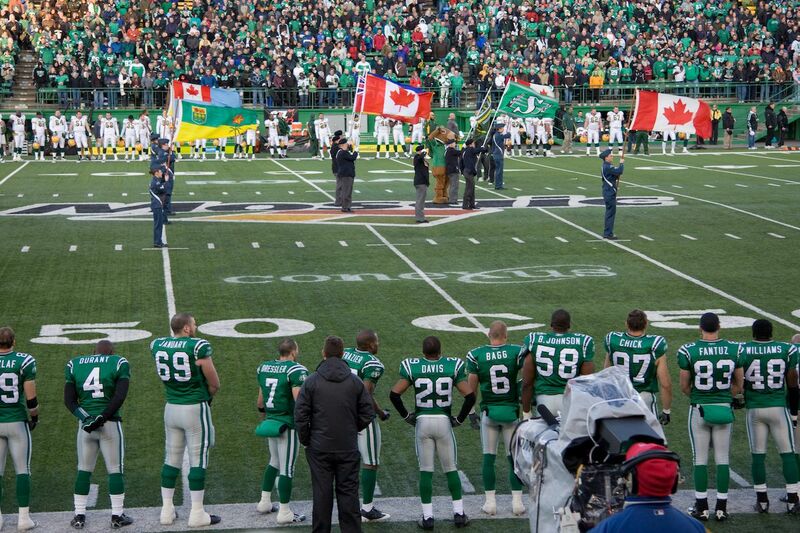 The Canadian Football League hosts the Thanksgiving Day Classic doubleheader — though football in Canada has few differences. The fields are significantly larger, the end zones much deeper, and there are only three downs, among several other discrepancies in the rules. It’s not so different, after all. Same name, different dates, and both slathered in gravy. While there may be some slight differences between the two holidays, it’s what they share that’s essential. 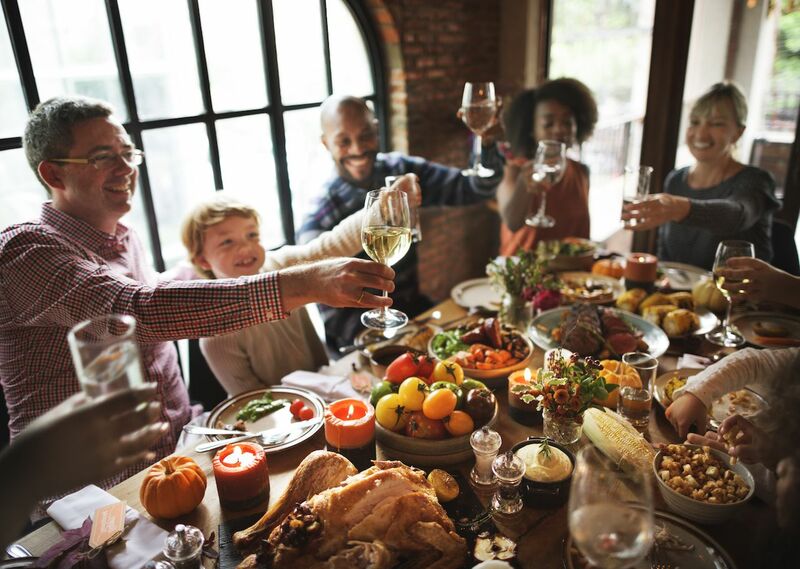 Like each family that gathers around the table, disagreements might be raised, especially after a few too many beers (Molson or Budweiser) — but in the end, what matters is that we all share the same goal: to come together to share a meal, give thanks, and enjoy the company of family and friends.